Lactobacillus bacteria colonies. 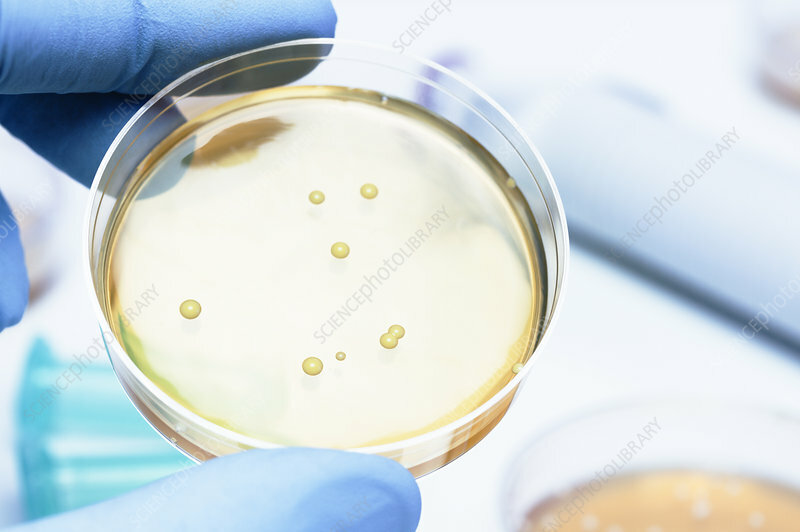 A gloved hand holding a Petri dish that contains Gram-positive lactobacillus bacteria grown on agar. This bacteria is a major part of the microbiota at a number of human body sites. Lactobacillus is a common yogurt probiotic.